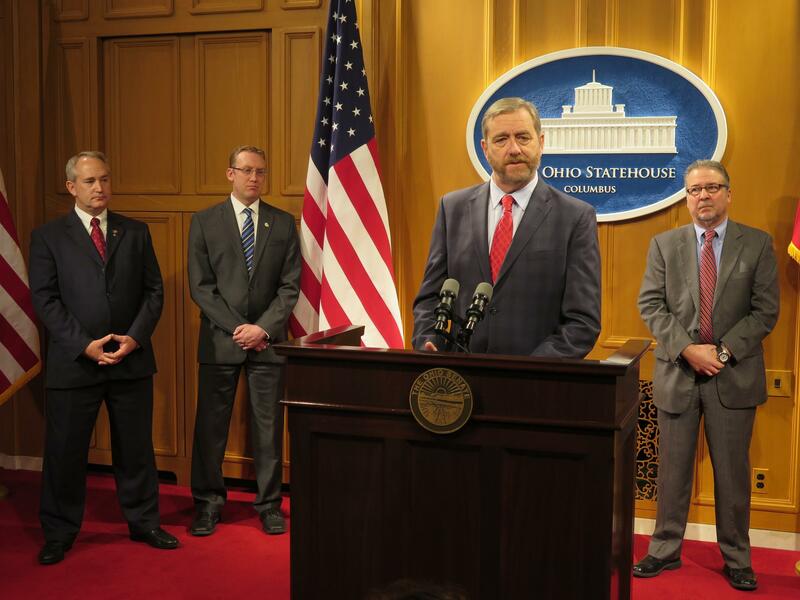 Ohio Auditor Dave Yost, backed from left to right by Senate President Keith Faber (R-Celina), Damian Sikora with the Ohio Attorney General’s Office, and Dennis Hetzel with the Ohio Newspaper Association. Republican Senator Keith Faber of Celina is pushing a bill that would create a new, faster public records request process by using local clerks of court and mediators. State Auditor Dave Yost has a similar program in his office, but Faber’s proposal would put it into law. Yost says this will help people avoid contentious lawsuits where they have to lawyer up. Faber says the new process, from start to finish, should only take a maximum of 45 days.